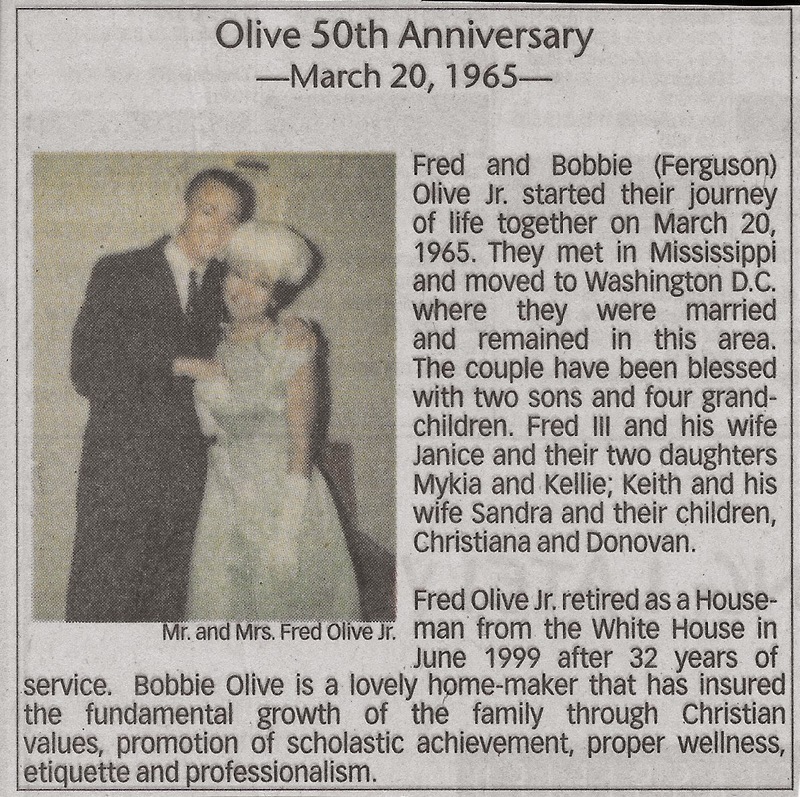 It's the last line that got me, "Bobbie Olive is a lovely home-maker that has insured the fundamental growth of the family through Christian values, promotion of scholastic achievements, proper wellness, etiquette and professionalism." Update the lingo a little and that would be quite a performance report bullet, wouldn't it? We all choose different paths, and there are about a billion blog posts, articles and other rants about who has more challenges or is more accomplished - those that work outside the home or those that stay home to raise their families. No doubt, 99% of us are somewhere in the middle, just trying to make it work, and maybe feel successful at what ever the "it" is. I don't know Bobbie, but she is now my hero. She made it work - and has done so for 50 years - and you can too.